Eastern Oregon Film Festival (EOFF) is sponsoring a satellite screening of Quality of Life. This award-winning narrative feature film will play at the OK Theater in Enterprise Thursday, June 30, 2011 at 7pm. Director Benjamin Morgan will be present for Q&A after the screening. Winner of a prestigious jury award at the Berlin International Film Festival, Quality of Life is a narrative feature film that tells the gripping and authentic story of Michael “Heir” Rosario and Curtis “Vain” Smith, the most prolific and talented graffiti writers in the Mission District in San Francisco. Heir and Vain live a life of dreary dead-end day jobs and illicit late night graffiti, hitting up spots across the dark walls and lost tunnels of San Francisco. One unlucky evening, the boys are busted for painting and everything changes. Faced with restitution and the prospect of serving hard time, Heir and Vain struggle to keep their heads above water. The paths they choose threaten to unravel their lifelong friendship and, ultimately, their lives. The film stars Lane Garrison in his feature film debut. Garrison co-starred on the hit TV series Prison Break. 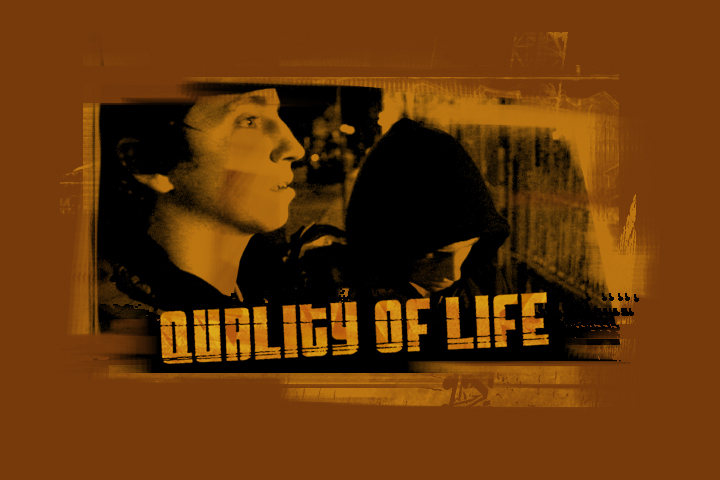 Directed by Benjamin Morgan and co-written/co-starring former Mission District graffiti writer Brian Burnam, Quality of Life has been widely praised for its raw and authentic look at the graffiti subculture. The film was shot in San Francisco’s gritty bohemian Mission District, far from the tourist-friendly cable cars and Golden Gate Bridge. The Mission (as it is called) has a renowned graffiti history, incubating many world-class graffiti writers and street artists, some of whom make cameo appearances in the film despite having outstanding warrants at the time of production. One actor was facing 18-21 months in state prison for graffiti-related charges.